In preparation for my shorebirds class for Portland Audubon, I have made several trips to Fernhill Wetlands (Birding Oregon p. 61) in recent weeks. As expected in the Willamette Valley in late summer, species diversity is fairly low, but there is always something to see. 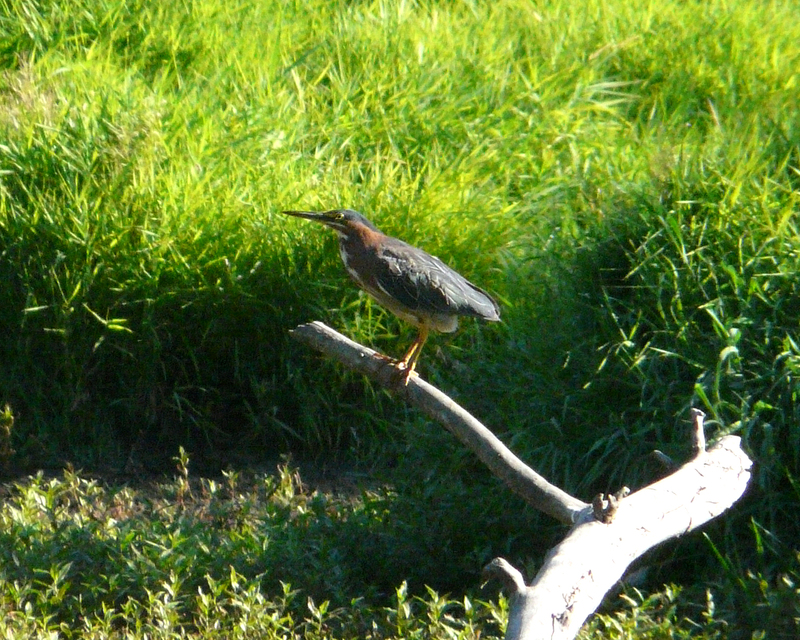 Green Herons are common at this site, flushing from the shores of the main lake or hunting in Dabblers Marsh. 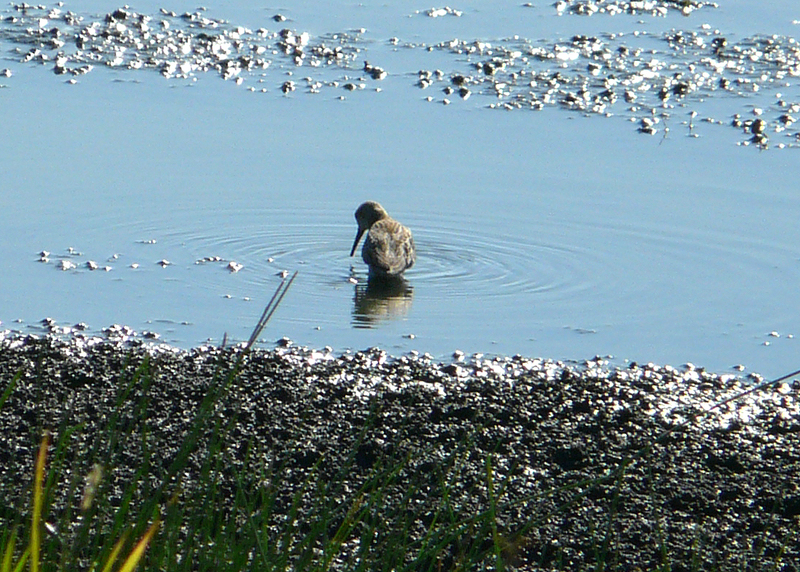 High water levels this year have left little mud for the shorebirds. 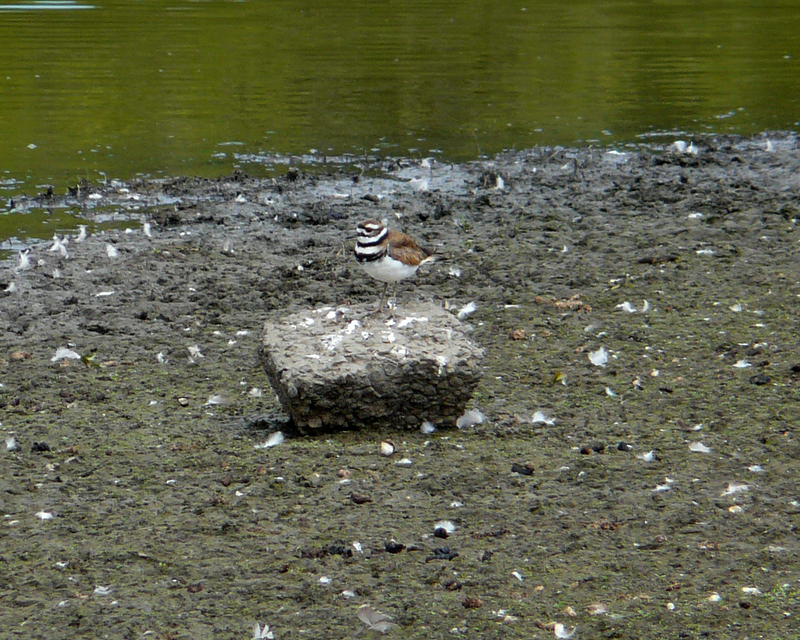 This Killdeer has found some higher ground. 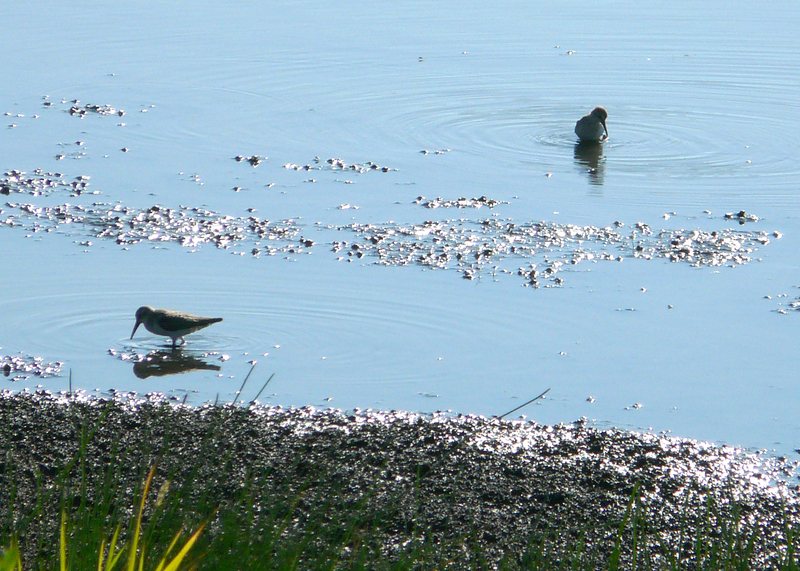 The shorebird class found at least six Stilt Sandpipers on their field trip. This species is a rare migrant in Oregon. I had only seen one individual in Oregon prior to this trip, also at Fernhill. Late summer is the ugly duck season, with most birds in their summer alternate, or “eclipse” plumage. I think I know what this little duck is, but I would be interested in your opinions. Leave a comment. 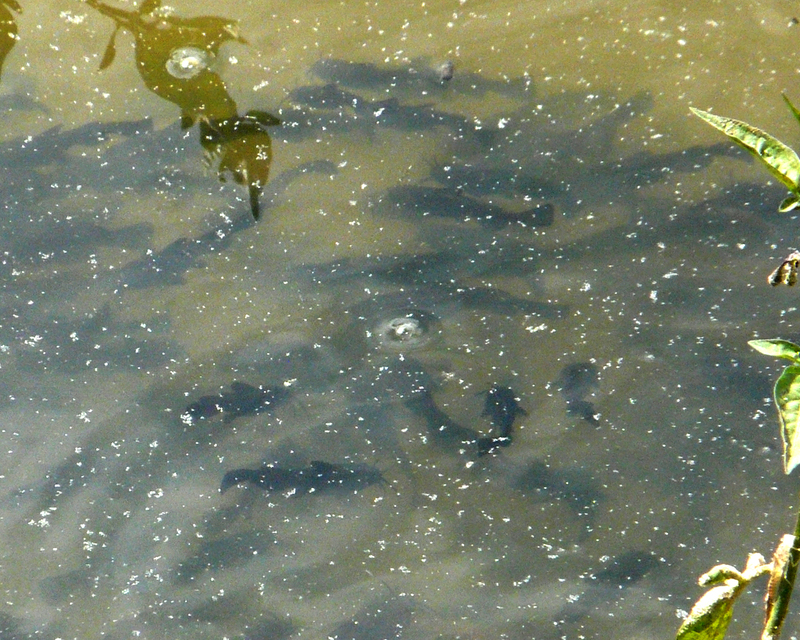 This is a school of young bullheads, I assume Black Bullheads. The young school together while the adult male stays close by to protect them. 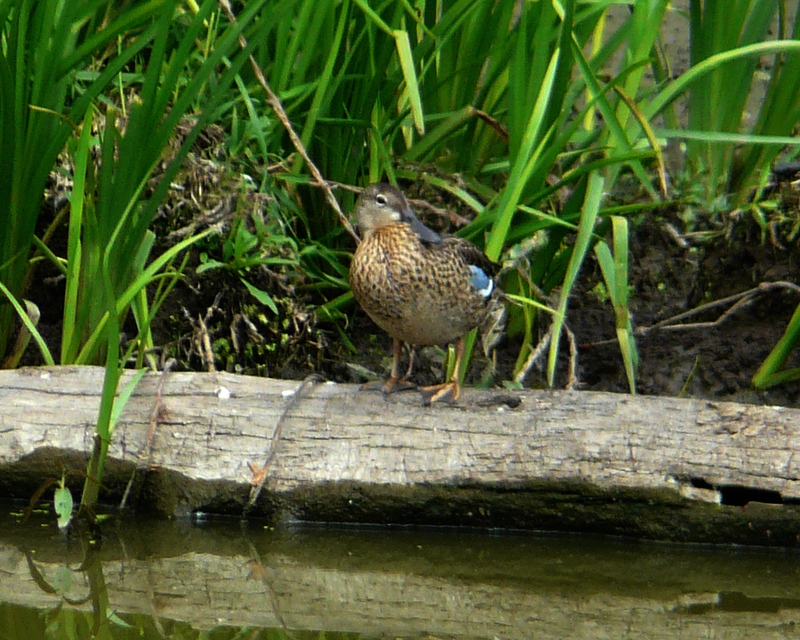 There were many broods of these little fish in Cattail Marsh. I haven’t learned to ID the local dragonflies, so if you know who this is, leave a comment. 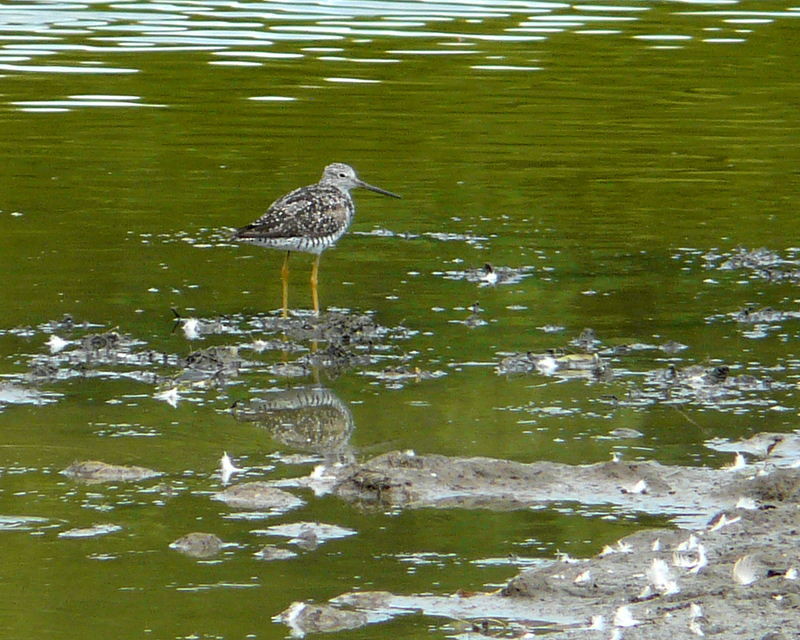 This entry was posted in identification challenges, OR Birding Sites, rarities, seasonal movements and tagged Black Bullhead, Greater Yellowlegs, Green Heron, Killdeer, Stilt Sandpiper. Bookmark the permalink. Stilt Sandpipers! Seriously out of the park cool! Maybe a Wood duck from the eye ring? 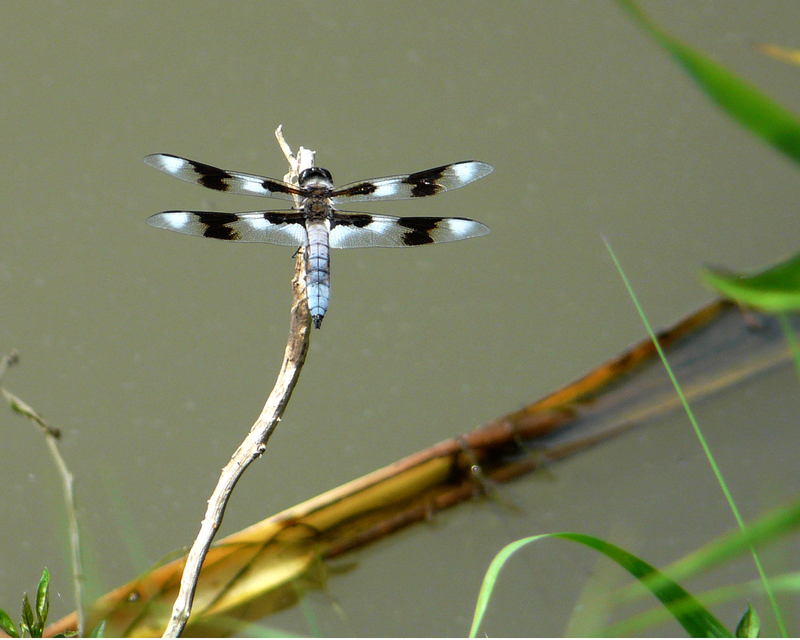 Dragonfly is a male Eight-spotted Skimmer. There is a new Oregon dragonflies book out that Dan was showing me. One can never have too many field guides. Looks like you had a nice time at Fernhill! My guess is Cinnamon Teal.